Catch more fish with the Nekid Ball Jigz! 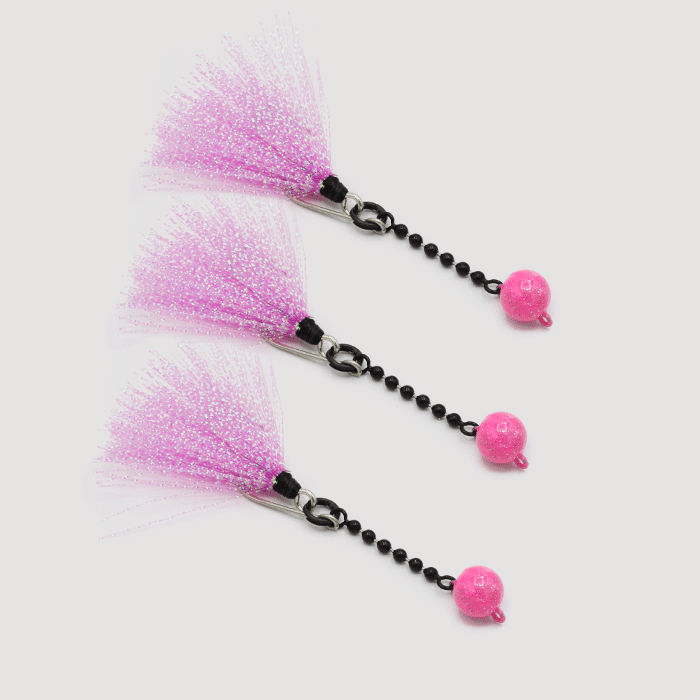 This is a set of 3 in Hot colors Great for late night or pre-dawn fishing. Creating a Unique wave pattern and 360-degree movement of Hi-Vis Teaser. Enjoy increased casting distances and quick change components to target desired species. Catches Trout, Redfish, Spanish Mackerel, Pompano & Many More! When fishing NBJ over shallow grass flats, it is recommended to use a “Twitching” type retrieve, so that the lure moves just over the top of the grass. Work the lure in the middle to lower third of the water column on the edges of sand patches where the sea grass meets. 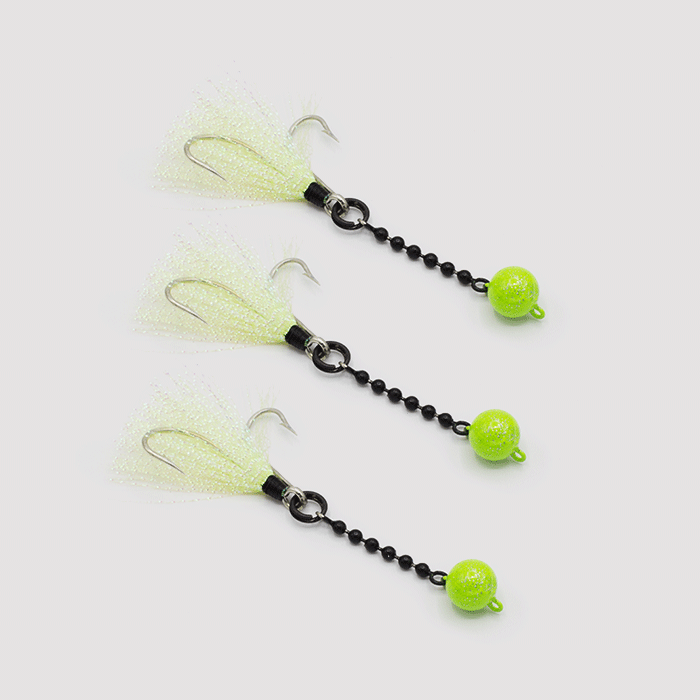 If the Mackerel or Bluefish are biting, use a fast erratic retrieve to land these speedsters. When fishing on the beach, try “Skipping” the lure about a foot off the bottom. This will create small puffs of sand that will attract fish from long distances. When fishing piers or from a boat, NBJ can be fished vertically. Just bounce off the bottom to create puffs of sand and attract attention to the wave-like tail movements. When working the lure, try more wrist and less forearm to impart the most action into NBJ. Also recommend using a loop knot to attach NBJ to fluorocarbon leader. What makes NBJ so attractive to such a wide variety of both fresh and salt water species is it unique ball & chain design. Patterned after fish fossils, the design mimics the earliest movements of ancient species. This “DNA” coding from millions of years ago is still engrained in their modern ancestors. 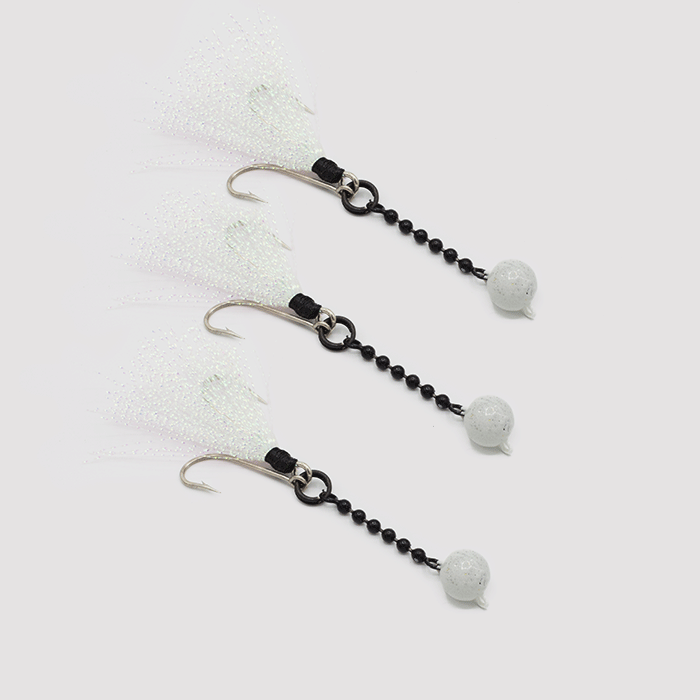 The wavelike fluid action of the stainless steel ball chain combined with the crystal flash teaser tail drives fish wild. 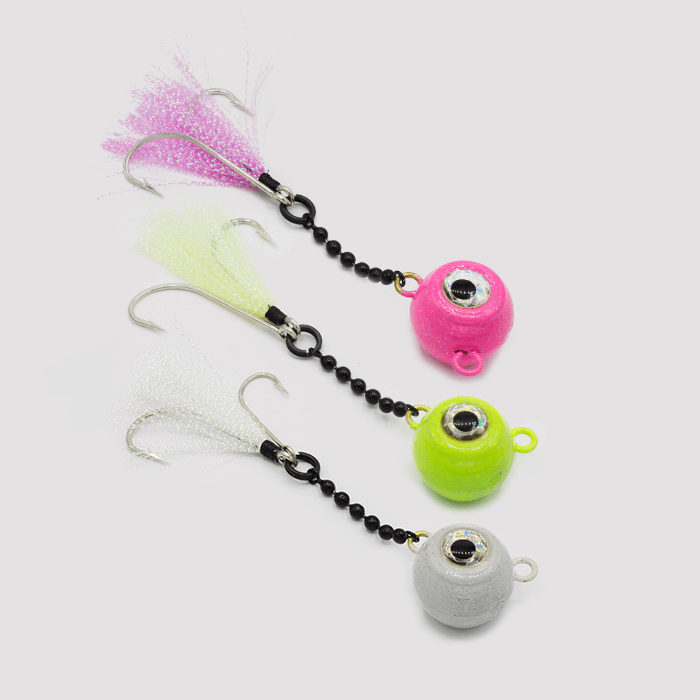 Nekid Ball Jigz are designed to catch many different inshore and offshore species. Catches Trout, Redfish, Spanish Mackerel, Pompano, Flounder & Many More! 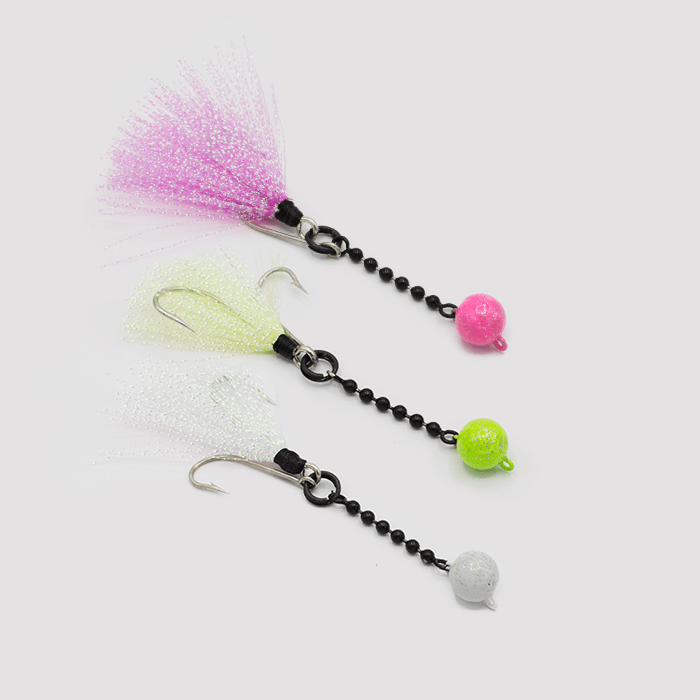 Choose your favorite color: Polar White, Hot Pink, or Chartreuse Yellow.